BUDAPEST, 08.10.2014 (FOREF) – Last month the European Court of Human Rights declined to consider an appeal from the Hungarian government concerning the Court’s judgment on Hungary’s new religion law. Introduced in 2011 by the government of Prime Minister Viktor Orbán, the so-called Act on “Freedom of Conscience and Religion” stripped the majority of Hungary’s religious communities of legal standing, forcing them to seek out recognition as “civil associations” in order to avoid having the state liquidate their assets. A few groups took their case to Strasbourg, where the European Court found that this retroactive “deregistration” violated the right of religious freedom and breached the European Convention. With an end of all chance for appeal, the Court’s decision becomes final. That means the game is up for Viktor Orbán. Either his government abides by the Court’s decision, restoring the legal status of deregistered communities and compensating them for four years of financial damage; or his government ignores the Court, thereby demonstrating its disdain for European institutions and democratic values. Thus far Orbán’s strategy for dealing with international criticism has been to play a double game. When speaking to Western audiences, Orbán and representatives of his government profess their commitment to common European values, but when speaking to domestic audiences, they deride European institutions (even refusing to fly the flag of the European Union at the Hungarian Parliament). Just last July, Orbán delivered a notorious speech in which he identified Russia as a role model, denounced Hungarian NGO’s as “agents of foreign interests,” and unveiled plans to transform Hungary into an “illiberal workforce state.” Soon afterward, Hungarian spokesmen began explaining to concerned Europeans that “illiberal” in Hungarian simply means conservative, and that Prime Minster Orbán intended to contrast “liberal” democracy” with “illiberal” Christian democracy. But, of course, Christian democracies, like liberal ones, rest on the separation of powers, adhere to the rule of law, support the growth of civil society, and protect human rights. Even Christian democracies abide by the European Convention and rulings of the European Court. Unless one’s model for “illiberal democracy” is Putin’s Russia. The Strasbourg ruling on religious freedom thus marks an important crossroad in Hungary’s relationship to Europe. Either Orbán’s government chooses to abide by the Court’s decision, thereby demonstrating its commitment to core European values; or Orbán’s government ignores the Court, demonstrating its disdain for the European Convention and its sympathy for “illiberal” autocracy. Sadly, all indicators suggest that Orbán’s government will ignore the European Court. Hungarian officials have issued a series of dismissive statements about the ruling. Moreover, over the past few years the Hungarian parliament has repeatedly amended the law in defiance of judicial review. Hungary’s own Constitutional Court struck down the law in 2011, but Orbán’s parliament passed it again a few days later. When, in a second decision, the Hungarian Court explicitly restored the legal status of deregistered religious communities, the government flatly refused to implement the decision, a troubling fact to which the Vienna based Forum for Religious Freedom Europe recently called attention (see also here). 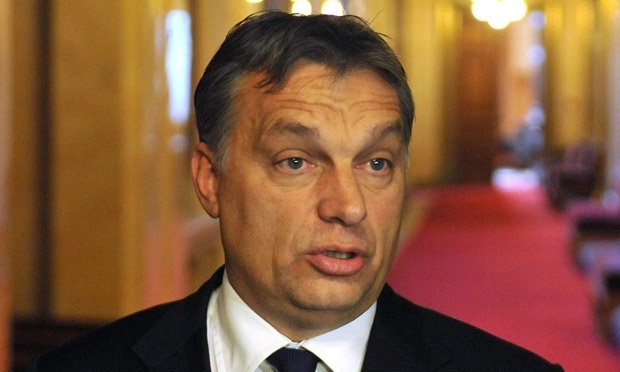 But widespread international criticism does not seem to faze Orbán’s illiberal regime. After the Council of Europe’s Venice Commission criticized the law’s procedure for registration of churches (henceforth every legally recognized church must be approved by a 2/3 parliamentary vote, or what effectively amounts to a constitutional amendment), Orbán’s parliament amended Hungary’s constitution explicitly to allow Parliament the power the Venice Commission had objected to. If Orbán wants to keep his illiberal religion law, he will now need to ignore not only his own Constitutional Court and the Venice Commission, but also the European Court of Human Rights. Any attempt to whitewash such blatant disregard for the rule of law with the rhetoric of “Christian democracy” will fail to persuade. Rather, by ignoring the Court’s decision, Viktor Orbán will be exposing the true character of his regime. We shall see. Either Orban is building a Christian democracy that adheres to the rule of law and respects common European values, or he is building an illiberal autocracy on the model of a country with which Hungary enjoys increasingly warm relations, Russia. If the latter proves to be the case, the question for the European Union may well become whether, and at what cost, it can tolerate an unabashed despot in its midst.